Well its the last day of January and that means that my RED January has come to an end. Well after todays walk!!! Ive even got my red lippy on today for it!!! RED January was set up by MIND the mental health charity to get people out and moving during the cold wet, dull days of the start of the year!!! It helps your mental health by getting moving. The support on the Facebook Group has been incredible!!! What a lovely month we have all had!!! I have managed to go out every day. Which is quite an achievement with my anxiety, agoraphobia and panic disorder. I do have days I just want to hide with the Anxiety Monster screaming in my ear that its safer in the house. 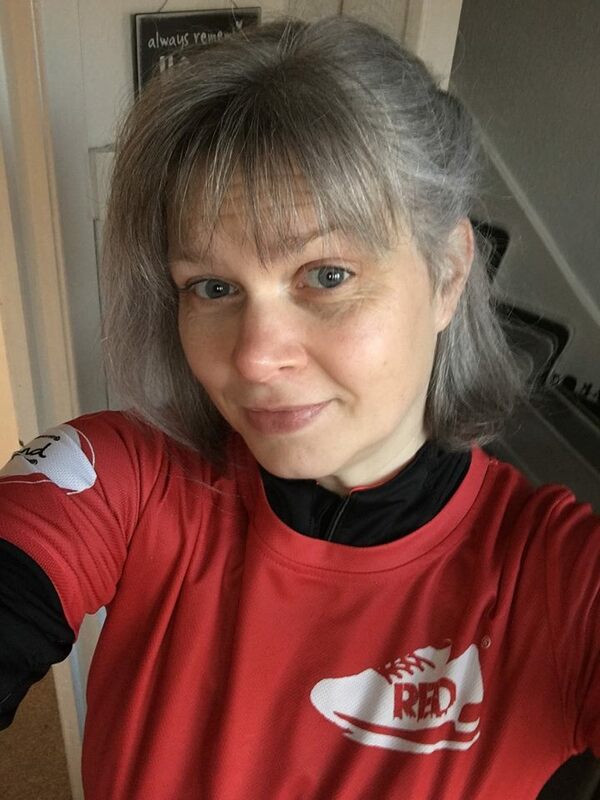 I was really lucky last week when my friend Susan gifted me her RED Jan shirt as she had signed up but didn't do the challenge. I signed up too late to get a tshirt. So this is a wee card to say thanks to her for it. Here is me last Friday feeling very proud in it!!! Thanks for dropping by today. If you would like to Donate to my MIND Page there is still time. The link is HERE! Addicted to CAS - Ombre. Crazy For Challenges - Opposites. Hope that you have more outdoor weeks to come. Perfectly CAS! Thanks for sharing at ATCAS!